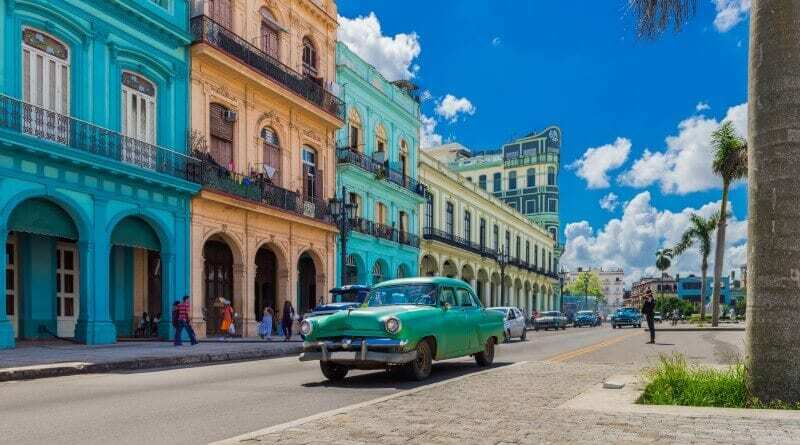 Known for its legendary cigars, American vintage cars, sugar white beaches, traditional colonial buildings and famous Rum, Cuba is rich in culture, history and heart. This is the country where you immerse yourself in amongst the people, both locals and travelers alike. With no familiar backpacker trail or paths for independent travelers, there is no doubt the way to experience Cuba is to be within the company of fellow die-hard travelers. As an avid solo traveller, I have always taken to the independent way of traveling and steered away from the arranged group tours. However, Cuba is the exception! Being a socialist country, why would it be any other way? It is no place for solo space; it is the territory of social interaction and collective engagement. Group travel tours to Cuba is a must! Steeped in history and culture, Cuba enhances your senses, colours your vision and enriches your soul. Significance and status doesn’t exist. In this classless society, Cubans have got it all worked out. They know how to live, laugh and love. 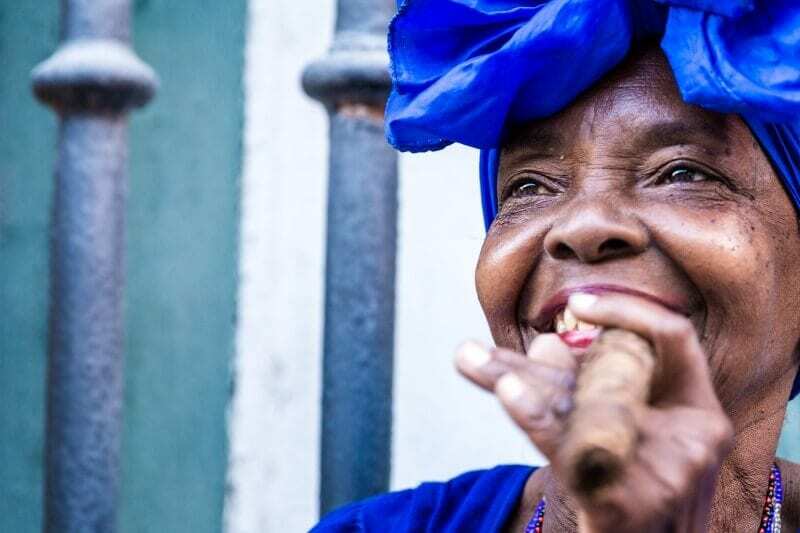 Their zest for life is infectious and Cuban life will touch your soul. If you ever dreamed to go back in time, Cuba is your wish come true. A trip to this patriotic nation is your time travel back to the olden days. Take a ride in a classic car of the 50s, drink rum with a hand rolled cigar and enjoy the beauty of being detached from the rest of the world. The appeal is the beauty of old-fashioned ways, A holiday to “yesteryear” gives a newfound appreciation for life, shifting perspective of what is important by giving meaning to the simple things that we tend to take for granted. People actually talk, engage and look at one another. WIFI is exclusive to hotels and town square hot spots only, so the use of phones is minimal. At first I struggled to accept this! What? No Selfies… Facebook posts…. Instagram hashtags?…Until I realized I was free! Totally free from having to check in and update. I could simply be. Be in the stillness with myself. Be in connection with others and be fully present to the experience. This digital detox is the greatest gift you could give yourself to unplug and get off the grid! And even better under the April Sun in Cuba! The Caribbean Island under communist rule is a nation protected from the invasion of fast food outlets and shops full of designer clothes. This is where raw and real trumps glitz and glamour. The everyday street scene comprises of a horse and cart, a bicycle taxi, a street sweeper, a bread seller, an old lady yelling at a group of naughty kids, couples dancing salsa, potholes, dogs and an old Chevrolet. Where in the world would you see all of this in the same place at the same time? Only in Cuba! Despite the stunning beaches dotted with tobacco fields, life is tough for the average Cuban. In 1962, America imposed a commercial, economical and financial embargo on Castro’s communist government and that restriction remains in place today. Due to a lack of natural resources and a poor economy, opportunities are limited but this does not affect the positive spirit of the Cubans. They have been bred to overcome adversity with the country’s history of changes in government, as well as international influences and their history making Cuban Revolution, 1953-1959. One thing is for certain; they handle hardship with optimism and hope. Always smiling, Cubans make the most out of what they have! Revolutionary Leader Fidel Castro is loved by the majority of Cubans whilst others have mixed feelings but tight lipped on their views. 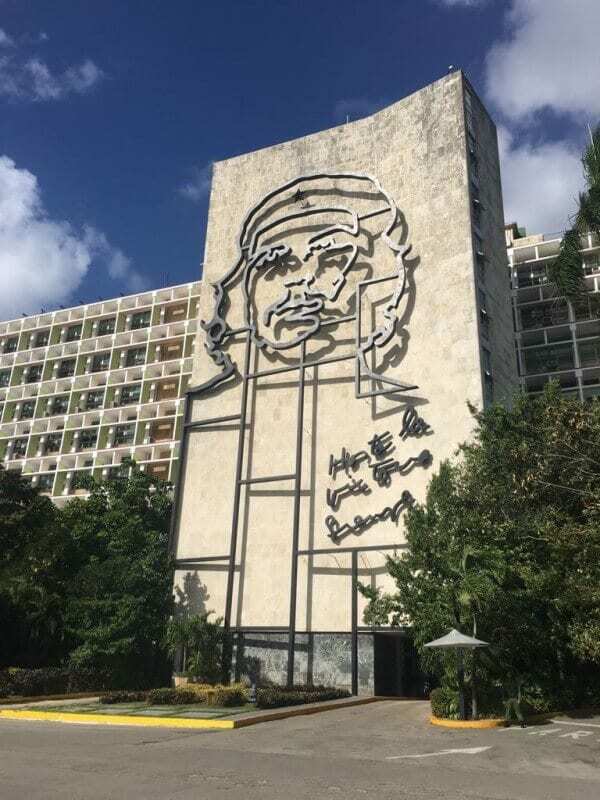 Whilst Che Guevara receives nothing but worship, represented with his infamous face staring at you everywhere you look. Both men left behind a legacy but Che is by far the iconic national hero! My decision to go to Cuba was based on the love of my life – dancing! I wanted to put my Salsa dance skills to the test. I thought I would be able to move it and shake it with the best of them but for my first evening I was moving like a crab! With an incredible dazzlingly fast pace, the sizzling hot-blooded Cubans explode on the dance floor making it almost near impossible to keep up. They have an exuberant energy and a contagious joy of life! Being immersed amongst this even if you are only doing the two-step makes you feel alive! 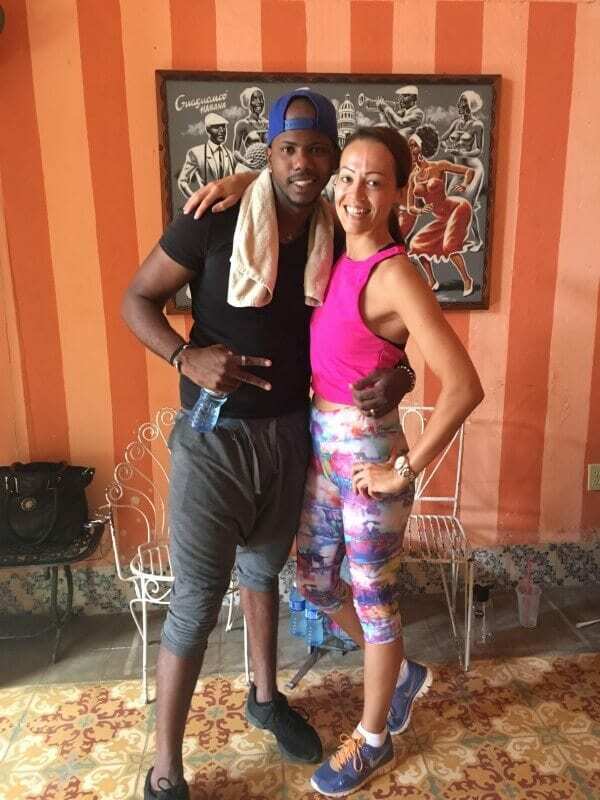 It was lessons at the Salsabor A Cuba Dance School in Central Havana where my footwork became sharper and my hips found their fire. I had 16 hours of lessons over 2 days after my first night of crab moves. Most travelers have a lesson for 1 or 2 hours max for a bit of learning and fun. As a “Salsa Junkie” I was adamant to learn fast so that I felt ready to take on the Cuban music scene properly. Thanks to my instructor William, I was able to flourish in the nightlife with the energy and speed of a fireball. Women with a bit of sass and strength – be warned! In Cuban Salsa, the woman follows the man. Every male dance partner yelled “tranquilo” (relax) and told me to stop trying to control and force. (Yes I am a control freak by nature). You soon learn to how step into your divine feminine to utterly and totally surrender. The Intrepid Cuba Tour certainly lives up to its name! Best of Cuba is a 15-day trip that takes you into the heart of all that is Cuba and makes your soul sing. (see Cuba tours with Intrepid here. They’re different depending on your country). Like any experience, the thing that makes it is the people. We had an amazing group of people but of course there is always one in the group. The fact we all remain friends to now shows how much we all connected and loved the adventure. 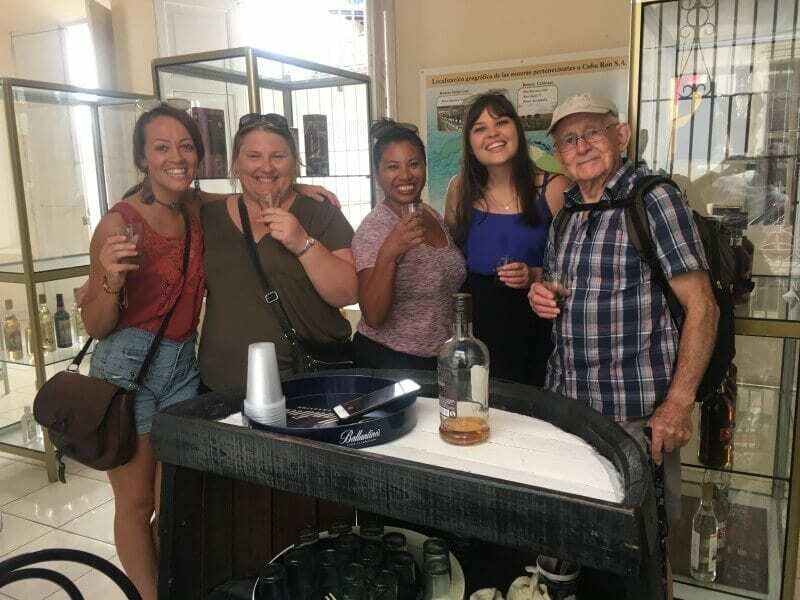 While every tour guide is different, we were fortunate to have local Cuban guide Alejandro Capote Ferro, who was by far a stand out! His knowledge of Cuban history and culture was extensive! We learnt more than we could have known about Fidel, Guevera, the Revolucion and the day to day living of Cuban people. Well versed in both Spanish and English, Lex (Guide’s nickname) was able to help us communicate at all times. He assisted us with luggage, logistics, accommodation, medical visits, dietary requirements with Cuban cuisine and all things good, bad and ugly. Always on watch and of service, he went above and beyond his call of duty. Having a local guide like this is what makes group tours to Cuba such a valuable experience. We travelled in a Premium Coach with our legendary driver who played Bachata and Salsa tunes to keep in line with the Cuban culture. The only flight we took was from Baracoa back to Havana. Staying in the Casa Particulares was an invaluable experience. The quality of accommodation was of medium to high standard. They were comfortable, clean and cosy with the local families giving it a feeling of home. The bonus being breakfast and water included. There was a healthy mix of planned tours, organized meals and nights out but also the option to be independent and do your own thing. I don’t normally like organized group tours. I feel being on schedule and having everything planned puts a constraint on the ability to be free and in flow. 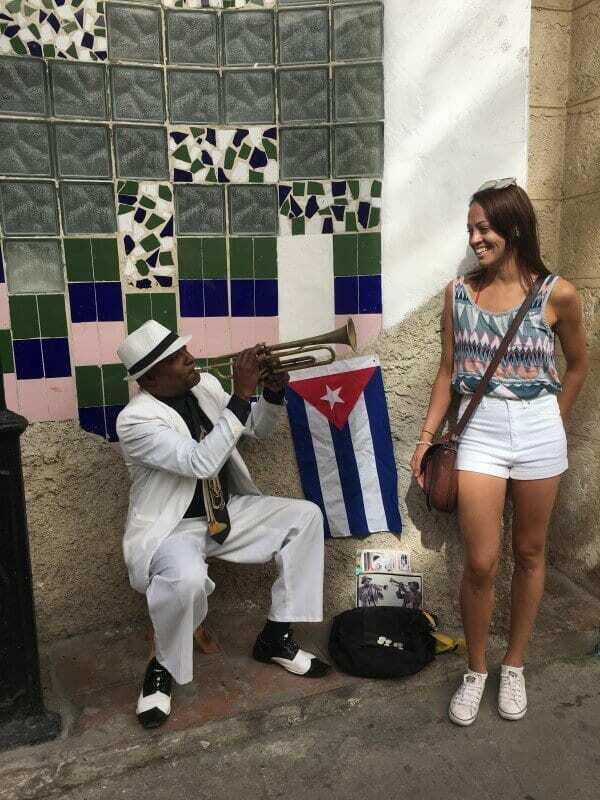 However, this Cuba tour was the exception and made improvisations, spontaneity and surprise possible! From city to sea, beaches to mountainside, history to heritage, music and dance, this is the Cuba tour you really have to give a chance! Preparation is paramount for a travel trip to Cuba. It is important to have all your ducks in a row with the mandatory requirements to ensure you have a safe assured holiday. All travelers visiting Cuba require a tourist visa and health insurance to enter the country. For tourists outside of the US, you can enter on a 30-day tourist visa. This is also known as a Tourist Card. This Tourist Card is green and can also be extended in-country for a further 30 days. US Citizens are allowed to visit Cuba only if their trip fits into one of the 12 categories permitted for travel according to the General License for Travel by the US Dept of Treasury. Travel for pure tourism is still prohibited for US travelers under the 1960s US Trade Embargo against Cuba. The Trump Administration have made things a little more challenging for American travelers. If US travelers select the appropriate category they can buy their pink Tourist Card through the Cuban consulate, an airline or at the airport. The most popular category is “People-to People” travel, which requires a schedule of educational activities when you travel to Cuba as an American. 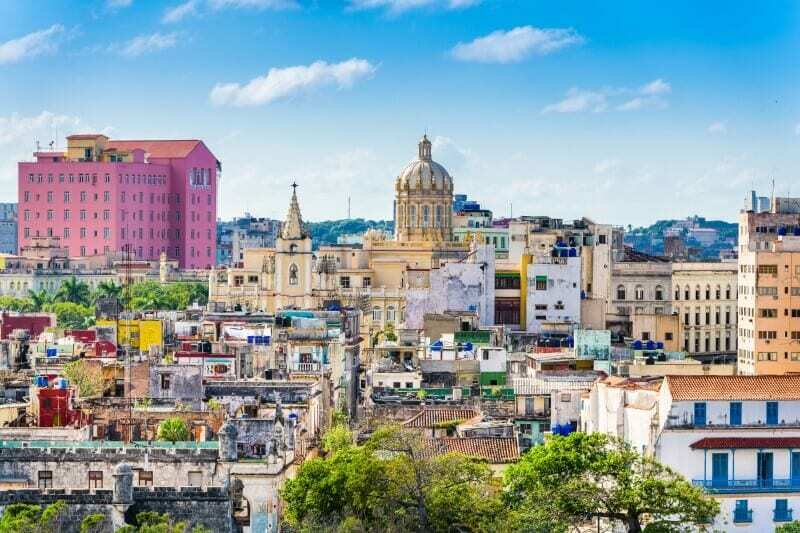 For all US and non-US citizens flying direct to Cuba from America must buy a pink tourist card which can be purchased with the airline ticket. You must have comprehensive travel insurance to enter Cuba. Most airlines or tour packages include Cuba’s mandatory health insurance. I purchased mine through Intrepid Travel as part of the group tour package. If you want extra coverage, you may want to explore additional travelers insurance. Keep printed copies on you at all times for proof of insurance. For Australians, we have a 10% discount code on Comprehensive Allianz travel insurance policies for you. Use the code: YTRAVEL online or over the phone. Besides the standard vaccinations that are required, ensure you are vaccinated against Diphtheria, Tetanus and Polio. It is in your best interests to be protected from mosquito-transmitted infections. You don’t have to worry about Malaria – as it is not present in Cuba. However, they have had outbreaks of Dengue Fever and a few confirmed cases of Zika. See your doctor to take advice on Rabies, Cholera and Hepatitis A protection. I have previously been to Africa so I carried with me my Yellow Fever vaccination certificate. If you have recently been to a country affected by Yellow Fever take your vaccination certificate with you. It is best to be safe than sorry when it comes to immunizations for Cuba. With the country’s limited resources and services, it is very hard to pick up things while you are in Cuba. Therefore it is imperative you bring everything with you to be packed and prepared from the get-go. I am guilty for not packing wisely for Cuba, which is why I am able to share with you an effective checklist born from learning what NOT to forget. Print out copies of your passport, airline tickets, travel insurance, tour itineraries, accommodation information, restaurant bookings and any other important reservations or trip notes. I recommend you wear a concealed money belt to keep a hold of these documents. I found it is better to have them on you at all times, rather than tucked away in your luggage at the hotel room or casa particular. In Cuba, things don’t always go as planned so proof of documentation may be needed to validate or confirm. It is also important to remember you can’t depend on your mobile phone to help you navigate with directions or information in Cuba. Make sure you have the correct address and phone number details of accommodation places or bookings to give to taxi drivers or to reference when asking local people for help. I spent two hours one night driving around with a taxi driver trying to find my Casa particular because I had no information on me and very little Espanol! You won’t be able to get Cuban currency until you get on Cuban soil. Save yourself time by getting Canadian dollars/Euro Dollars before you leave your country. Then exchange these at the Cuban airport when you arrive by plane. If you are visiting by boat, do so at the cruise port. You get a better exchange rate when you switch US or Australian dollars to Canadian dollars/Euro Dollars then to CUC (Cuban Convertible Pesos). CUC is the Cuban currency used by tourists and CUP (Cuban Pesos) is the currency used by Cuban citizens. In Cuba, cash is king! Being part of a group tour, I witnessed what possible illnesses could arise, as well as encountering some under the weather moments myself. In addition to any of your prescribed medications, pack a supply of common pain relievers, cold and flu tablets, a throat gargle and stomach medications. You can never be too sure to have enough of these in a foreign country, especially Cuba! It is normal to have stomach problems arise, especially being exposed to the different hygiene standards, routines and climate. It is a good idea to pack Imodium in case you accidentally drink the water – which you should never do! Bottled water at all times, even for brushing your teeth. Imodium is also helpful in case something sets off your stomach. On the flipside, I recommend Coloxyl, or Colon Max to set off your stomach for constipation. 5 people on our group tour suffered with constipation, including myself. Don’t leave home without your antihistamines or medication used to treat allergies and insect bites. Mosquitoes can be an issue for some. Lastly, include some betadine solution with cotton tips, pads and band-aids in case of cuts or bites. By being prepared for any situation, you can hopefully avoid any unnecessary annoyances or illnesses and stick to relaxing and having a great time! Cuban toilets for the most part are BYO tissues! There are the exceptions of toilets at nightclubs or tourist attractions that sell toilet paper for a Cuba Peso coin donation. However, toilet paper is typically not available in rest rooms more often than not. So keep your toilet paper on you at all times! Golden Rule – pack an endless supply of tissues and bin the paper, never flush! Mosquitoes are mostly a problem in the coastal and country areas. This can be a nuisance for some travelers and especially those who are not exposed to them back home. Include a mosquito or insect repellant to cover yourself, particularly of an afternoon into the evening. Try an organic, all natural repellant free from DEET, like this one. Stores with general items are very few and far between. To avoid any disappointment, be sure to stock up on the basics. Pack a toiletry bag equipped with toothpaste, soap, shampoo, conditioner, face wash, deodorant, lotions and makeup if you use. Invest in a universal plug to be sure to connect your electrical equipment. The electricity power in Cuba is 110 volts and the two prong outlets are most frequently used but a universal plug is sure to solve any plug possibility. 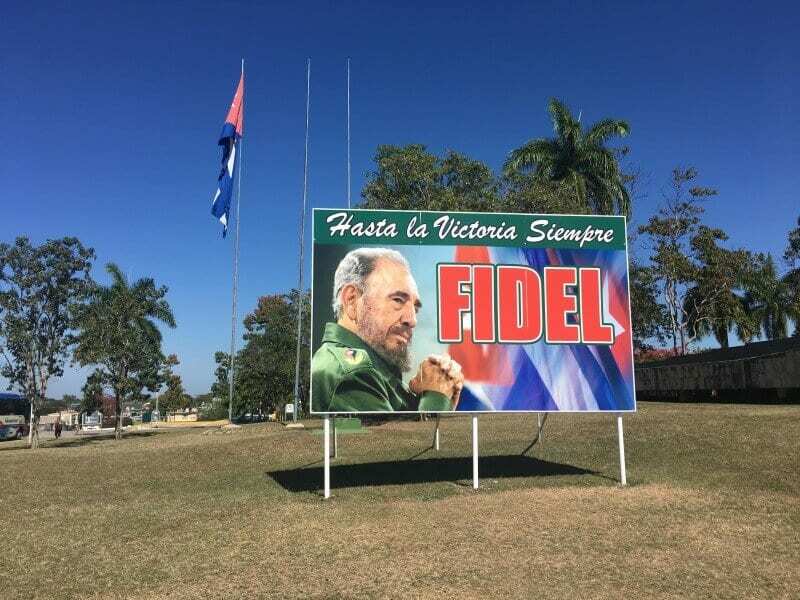 After all, in Cuba- anything is possible! A few items are essential to help with the high temperatures of heat and humidity in Cuba. For those of you who wear sunscreen, make sure you pack some as it is hard to find and very expensive to buy from the hotel. We use this natural zinc sunscreen. Aloe vera gel is also handy if you are likely to burn with the sun. Sunglasses will protect your eyes from the harsh rays of the sun, especially when you are at the beach or walking the streets. With the tropical rains, pack a poncho! This can help cover you from getting wet, although I personally enjoyed the occasional downpour to offer relief of the sweat. Cuba is a casual place so keep your clothing casual and light. Leave the jeans, jackets and fancy clothes behind. Ladies – ditch your heels! Men – exchange the pointy leathers for boat shoes! Bring a mix of sundresses, skirts, shorts and singlet’s. Closed in shoes are treasures to have in Cuba to keep your feet safe and comfortable. If you don’t know much Spanish, a pocket translator book will help you to get by more easily and effortlessly. My biggest regret was not being able to converse more than a few phrases. 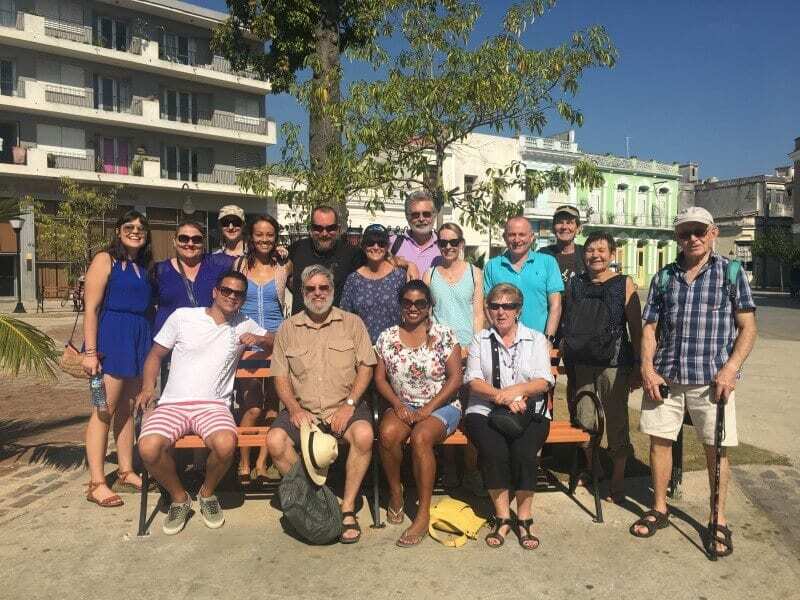 The Cubans are super friendly and there are plenty of opportunities to chat with them, so knowing more Spanish can help to give a more authentic experience. Remember, don’t rely on apps and internet!! Knowing a few travel tips before you make your trip to Cuba can help your experience be a lot more fun and less stressful. 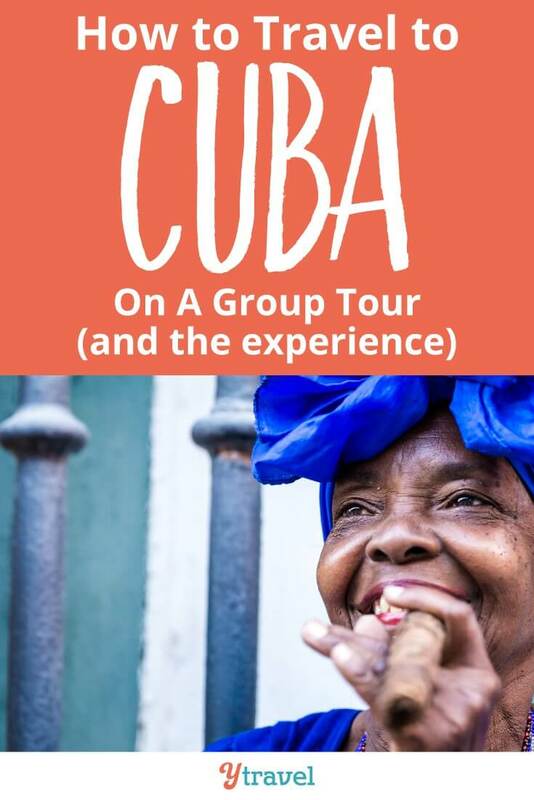 Here are my top 6 tips to have a great time on your Group Tour in Cuba! You will have a variety of people from different walks of life. Being part of a group tour, you will meet people you have rapport with and others not so much. Being open allows you to develop and build on the rapport to form new friendships. This will help you to create memories and experiences lasting forever. Group tours are jam packed with activities and sometimes the pace can be too much. So if you want “alone time” or time to wander away from the pack or maybe you have met a new Cuban friend, whatever it is; speak up about your desire to take time out. 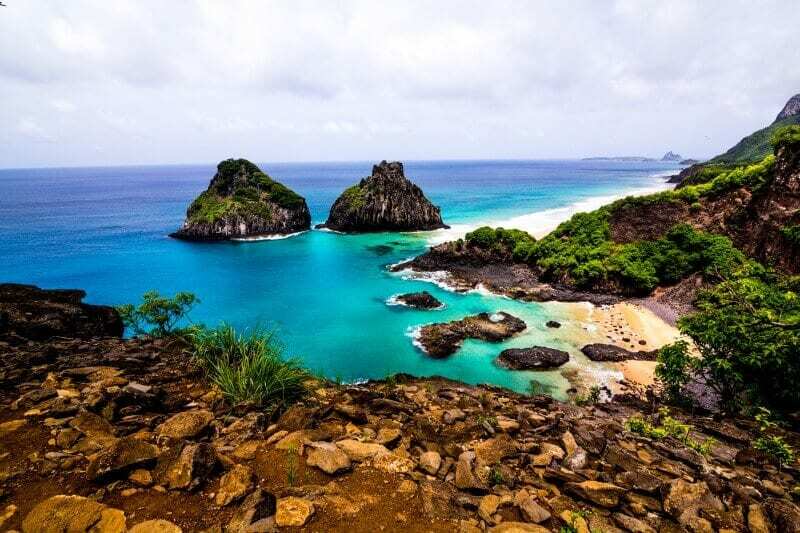 It is important you get out of the trip what you went there for, rather than compromising your needs for the sake of the group or to be polite. Sharing your tour of Cuba with a number of other people requires compromise and patience. Some people will sleep in, run late, get sick, lose their belongings, snore or talk too much. 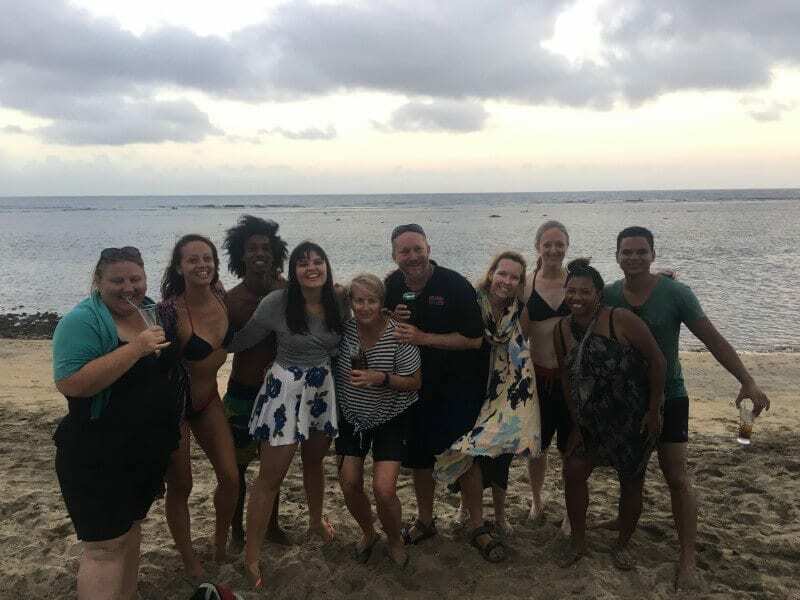 Group travel requires flexibility and a carefree attitude. Things outside of your control will happen. The best way to adapt is to go with the flow with a good sense of humour and chill. If you are in a twin share room with someone you don’t know, it is best to set your boundaries in the beginning to avoid any conflict or misunderstandings. I was fortunate enough to have an amazing female roomie and we hit it off instantly. However, other people on the tour had issues. It is best to lay down the law at the very beginning so you can be straight up. It will be in your best interests to have the honest conversation so you don’t end up exploding like a champagne bottle later on or being disgruntled with your room experience. It then makes it uncomfortable for the two of you and is also picked up by the rest of the tour members. So as soon as you meet, work out who likes what bed, towel, bathroom times, breakfast times, keys, sleep behaviours, alarm clocks and any idiosyncrasies. Being open and honest straightaway means you will have an enjoyable experience with your roomie and probably remain friends for life. The bus tours can be long and repetitive. Pack a good pair of earphones so you can listen to music or podcasts. However, there is no wifi access or phone coverage so you must make sure you have all your stuff downloaded before you go to Cuba. Don’t do what I did and rely on having connection to listen to stuff. I ended up having only one downloaded album to listen to for the whole 3 weeks! Pack a good book to read to pass the time. 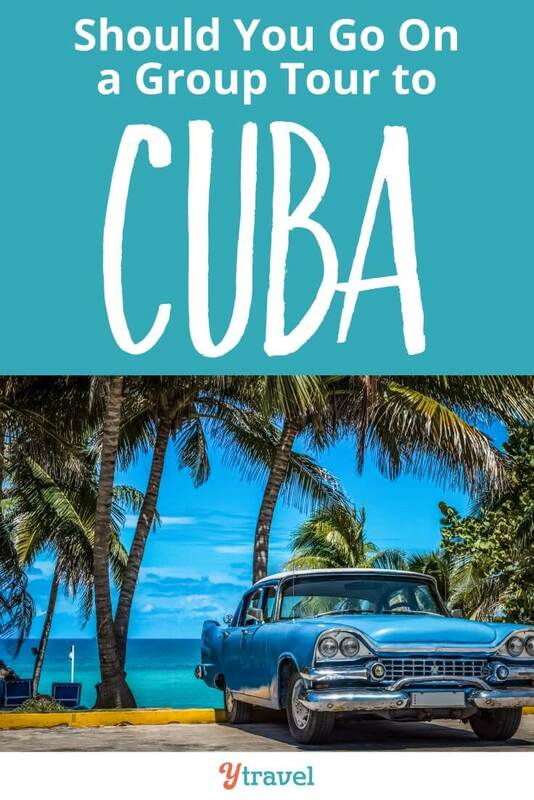 You will probably be fascinated with the culture and history of Cuba so buy a book while you are there to read up about The Revolution. Both of these tips help you to switch off from having to talk all the time and the bus is the best place to zone out in your own mind and take in the beautiful scenery. The tour guide will also give extensive information whilst touring on the bus – make sure you are aware and alert to listen. The guides are filled with local knowledge. Always swap seats and change it up. I found we bonded better as a group when we started to play musical chairs on the bus in week two of the tour. It helped to mix things up and get to know everyone. It is important you declare any dietary requirements at your first orientation meeting. The tour guides will always ensure your needs are met. If there are any issues the guide is always there to go above and beyond. Make sure you are always on point with times and meeting places. These are forever changing for breakfast, dinners and tours. It is easy to get comfortable and think they are the same or not pay attention but then the whole group suffers. Keep a good track of things to ensure everything runs smoothly for yourself and the group. If you are on a group tour staying in Casa Particulars it is nice to give little treats to the family of your home stay. Pens and pencils are scarce for children so they value these for their education. It is also nice to give some little bits and pieces as an appreciation for having you in their home. This is a nice addition to your holiday to give a special touch to both you and them. Cuba comes alive with dance! Get the group together to have a dance lesson and then go out of a night together to shake your hips. It is a great way to have a laugh and try something new together! After all Cuba is the capital land of salsa in the world. We found it was helpful to go dancing as a group for confidence to encourage one another to get into it. Going out solo is possible and also fun but was always twice as good hitting the d-floor in numbers! We captured many moments and memories as a group, all at various times and with different cameras. We found it was a great idea to create a Facebook Group in loving memory of our tour. This enabled everyone to share their pictures and videos to swap prized collections. It has also been a great way to keep in touch and reminisce about our Cuban tour, which will forever be close to our hearts. The following are the tour companies we trust and support. 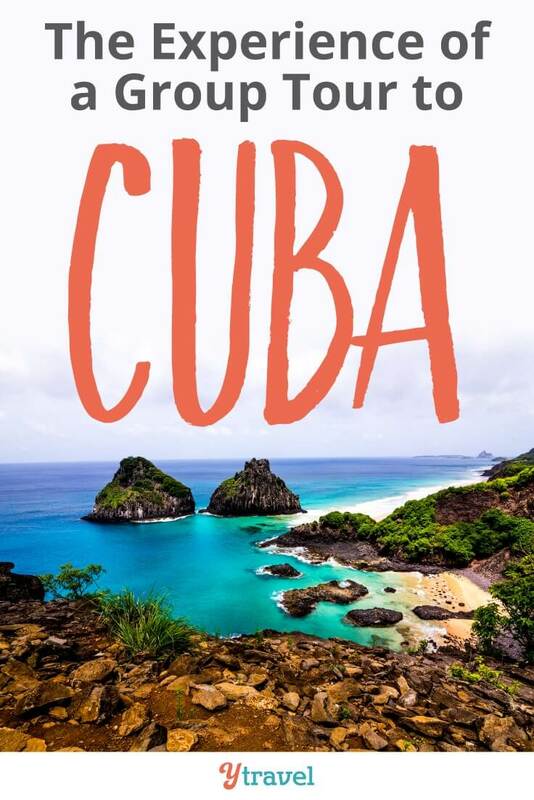 Intrepid has a tour specific to the Cuban people category for Americans traveling to Cuba. 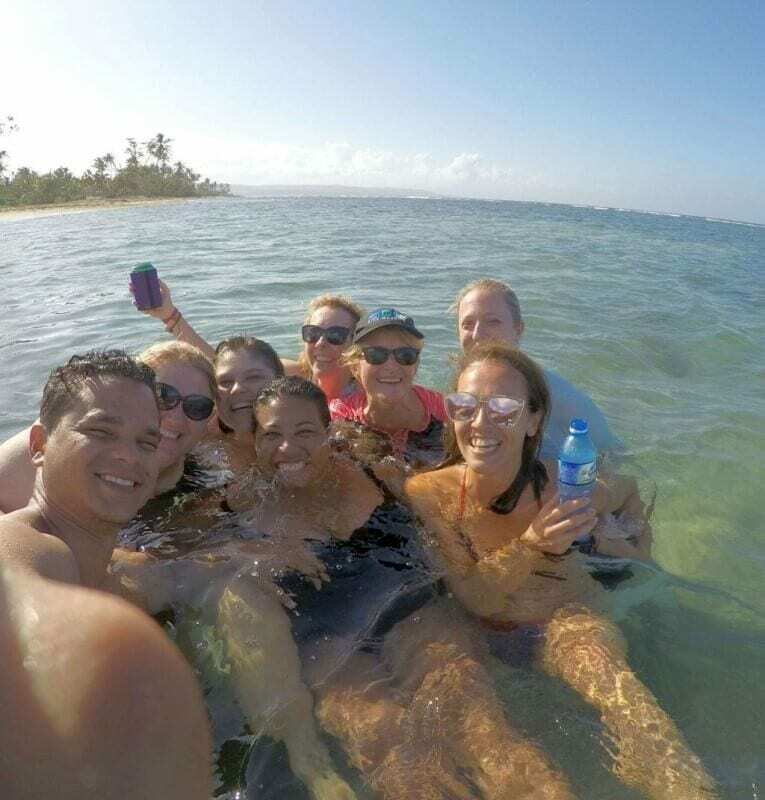 If you want to do more independent travel in Cuba, connect with a ViaHero local before you head down to Cuba. Cuba is a transformative travel experience. By being fully immersed in a culture where they value humanity over materials, I came to realize that wealth is a feeling. How you feel determines the quality of your life, not what you have. Take a trip to Cuba to experience cultural wealth and feel exceedingly rich in heart and soul.